You are here: Home » News » Industry news » Heat Pump Prices: How Much is an Air to Water Heat Pump? Heat Pump Prices: How Much is an Air to Water Heat Pump? With the development of the society, people's living standards have been greatly improved. More and more people have higher demands on the quality of life. They hope that they do not only eat delicious food but also live more comfortably. If we want to live comfortably, we need to have better hot water systems so that we will enjoy our bathing time. The emergence of air to water heat pumps has brought a lot of convenience to people's lives. They are not only comfortable to use, but also have the advantage of electricity saving. Precisely because of this, air source heat pumps have become more and more popular among many families. When choosing an air to water heat pump, price is naturally the concern of many consumers. How much is an air source heat pump? What are their advantages? To address the questions, let's have a detailed understanding. How much does an air to water heat pump cost? In fact, the prices of air source heat pumps are affected by many factors, such as brand's after-sales service, compressor accessories, product R&D costs, market positioning and so on. When choosing air source heat pumps for domestic hot water, it is suggested that people can make their choices according to the number of family members. The price of air source heat pumps for household hot water use sold on the market is generally about $500 to $3000. Commercial air source heat pumps with high heating capacity are of course more expensive. Specifically, price also depends on the brand and quality of the product. Air source heat pumps with better product quality naturally have higher prices. In fact, no matter how much the price of an air source heat pump is, the key is to choose the right heat pump product so that it will be more comfortable to use. What is an air to water heat pump like? Air source heat pumps are widely used, especially in recent years. These products have the characteristics of energy saving. Compared with other water heaters, the heating cost of air source water heaters is lower, and thus make their use more economical. Air source hot water heat pumps are more convenient and comfortable to use. No matter what kind of weather it is, as long as the heat pump is turned on, hot water can be continuously available for 24 hours a day. In addition, air heat pumps have a high dehumidification effect. For some humid houses where lighting is not very good, the installation of air source heat pumps is very suitable. The above is about how much an air to water heat pump is and what advantages it has. 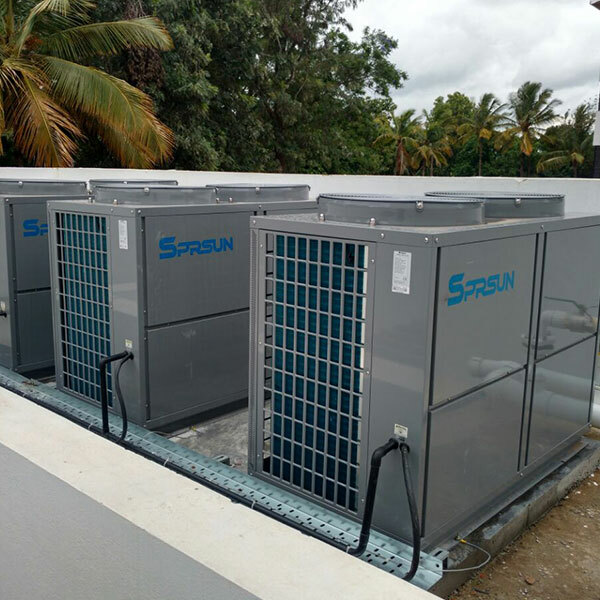 When choosing an air source heat pump, you can directly go to a professional heat pump manufacturer and choose a brand that has many years of experience in the industry to ensure the quality and use effects.